Juneberry Lane: Strawberry Cupcakes & A Free Pink Elephant Printable, Hooray! Strawberry Cupcakes & A Free Pink Elephant Printable, Hooray! Today you are in for a real treat . . . a sweet treat with these delicious Strawberry Cupcakes, a flavorful adaptation of the Sprinkles version brought to you by Cate's World Kitchen. 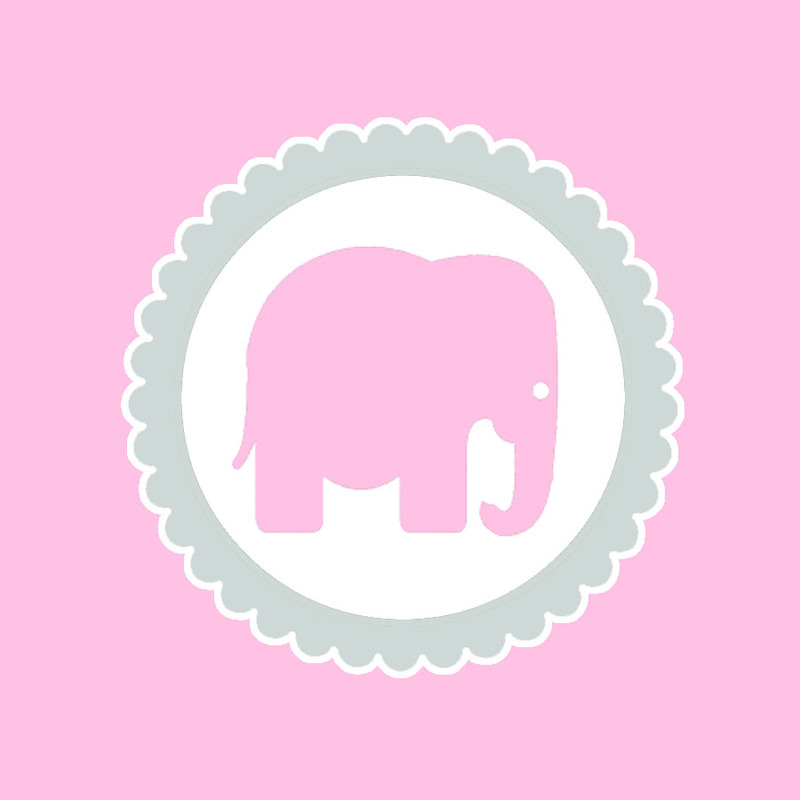 And as an extra special bonus, you will find a free printable pink elephant cupcake circle with instructions on how to surprise your little sweetie with a pretty plate of splendid snacks! 2.) Sift the flour, baking powder and salt onto a piece of wax paper. Set aside. 3.) In a small bowl, whisk together the milk, vanilla, and strawberry puree. 4.) Cream the butter in the bowl of a stand mixer, and add the sugar. Beat for a few minutes, until light and fluffy. Add the egg and mix on low until combined. 5.) Add half the flour mixture and mix briefly on low. Scrape down the bowl and add the milk mixture, mixing just until combined. Scrape down the bowl and add the remaining flour mixture. 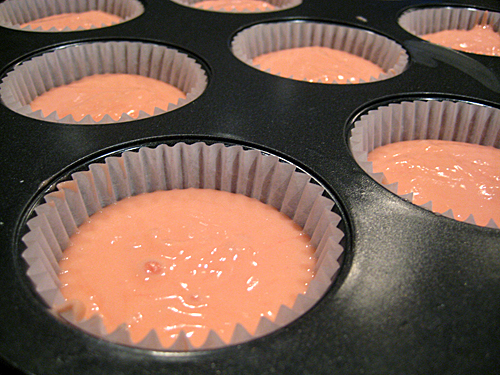 Mix on low, then divide the batter evenly among the prepared cupcake tins. 6.) Bake for 20-25 minutes, or until a toothpick inserted in the center of a cupcake comes out clean. Cool in the pans for about 5 minutes, then transfer to a wire rack to cool completely. ~ Beat the butter, sugar, and vanilla in the bowl of a stand mixer. 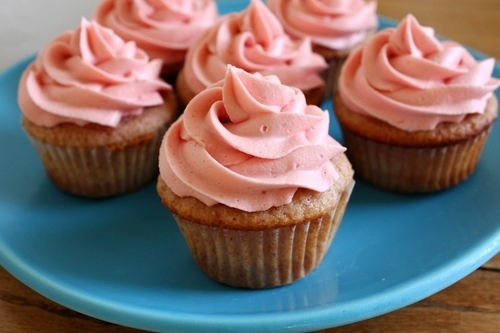 Add the strawberry puree a teaspoon or two at a time until the frosting is smooth and spreadable. 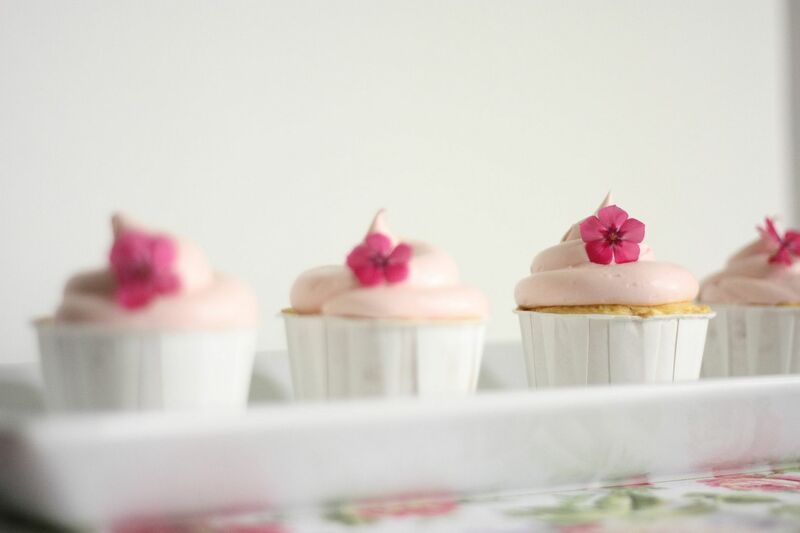 And cupcakes always look best with pretty toppers, don't you think? 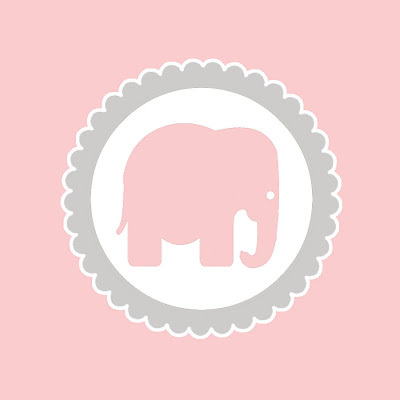 So here is a sweet little pink elephant topper that matches our baby shower from yesterday . . .
For the cupcake toppers, cut out the squares along their border and then punch with a 2” scallop circle or 2” circle punch, or if you prefer, you can cut them by hand or just leave them as squares and attach a long toothpick to the back. You will get the best results if you use bright white card stock to print your files! Hi! I found your post via Pinterest and love it! I am trying to download the elephant toppers but it directs me to a site where I have to subscribe to download it, any ideas of how to download it? Thanks!! I love these!!! Any way to make them blue?